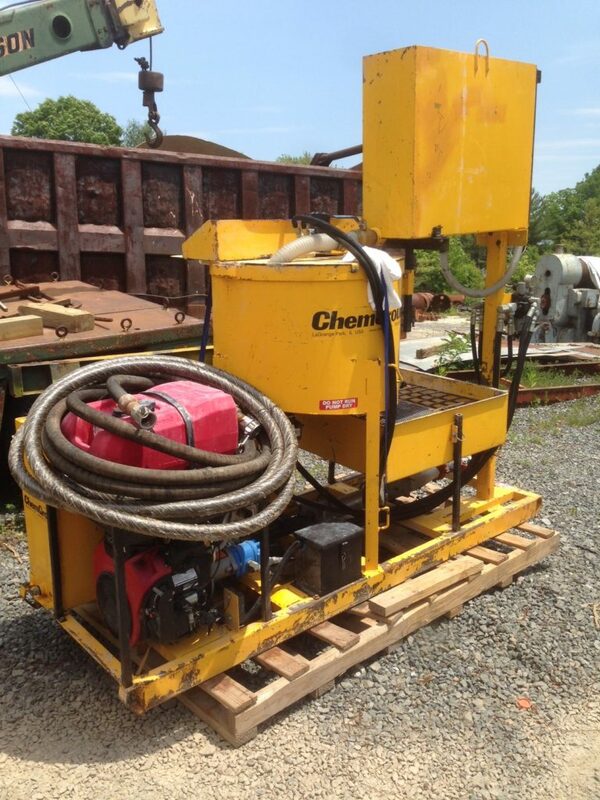 Gas powered, electric start, grout machine w/ water batcher & hose. 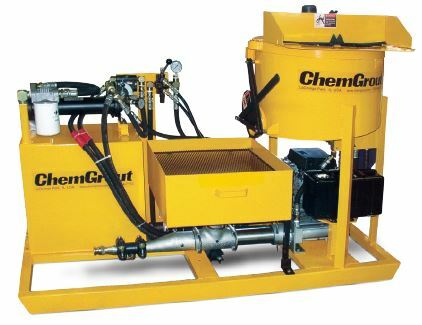 70 gallon mix tank/45 gallon hopper/3” piston pump. 16 GPM maximum output. Comes with 50’ x 1.25” used grout hose.